Bangalore: India’s deep space exploration may have taken off smoothly with the Chandrayaan mission to the moon, but its space astronomy programmes, to explore the stars, galaxies and black holes, are still grounded. The launch deadlines for two experimental projects in astronomy—Tauvex and Astrosat—have been sliding and scientists tell Mint it’s getting increasingly difficult to keep the small research crew motivated, an issue that has larger ramifications for Indian space science ambitions. Tauvex, built by the Israel Space Agency, or ISA, is a set of three wide field ultraviolet, or UV, telescopes to be sent into the earth’s orbit aboard GSAT-4, India’s next communication satellite, which will be launched by the Geosynchronous Satellite Launch Vehicle, or GSLV. While signing the agreement in December 2003, ISA and Indian Space Research Organisation, or Isro, had said Tauvex would be launched in 2005. The launch date then slipped to mid-2008 and then to April-May 2009. The hardware, ready to be hurled into space, is sitting in a clean room in Israel for the last two years while the software, too, is stacked up at the Indian Institute of Astrophysics, or IIA, here in Bangalore. While the instrument is losing sensitivity, it’s also very difficult to keep the group motivated when such delays happen, says Jayant Murthy, Tauvex’s Indian investigator at IIA. His Israeli counterpart and principal investigator, Noah Brosch at Tel Aviv University, says he is “angry and dismayed" at the delay. “Astronomy is a competitive science and our main competition comes from the US telescope Galex, which was launched in 2003," says Brosch, who believes that with passing months, Tauvex is increasingly losing out to Galex on UV discoveries. “The loss is in the discovery space; there are now less discoveries to be made, because Galex already cornered some," he says. The team is, however, shifting its scientific goalposts to maximize returns. But it’s not just Tauvex, which is one of several payloads to go on GSAT-4—a flight that is going to test Isro-developed cryogenic engine—but space astronomy at large that is suffering from a lack of focus and shifting deadlines. “GSAT-4 has many developmental projects which, in any case, take long," argues P. Sreekumar, head of space astronomy and instrumentation at Isro Satellite Centre. But he believes Astrosat has been delayed, among other things, due to a lack of focus. “All academics are trained to work as an individual, not as a team…it’s very difficult to make them work with engineers." 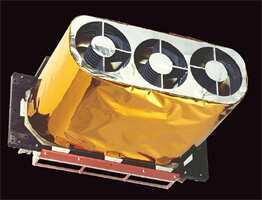 Initially, Astrosat was supposed to be launched in 2005-06 by the Polar Satellite Launch Vehicle (PSLV); then it shifted to late 2008 and, now, to early 2010. “Scientists have really squandered away the fantastic opportunity given to them…we are looking at it as a sideproject," says Sreekumar. There is no such science mission on the anvil globally and if India delays too much, then it’ll lose its competitiveness and hold on the intended science, he notes. Unlike most Isro missions where the payloads are largely developed by its umbrella organizations, Astrosat payloads are developed by three institutes: Tata Institute of Fundamental Research in Mumbai, IIA in Bangalore, and Inter University Centre for Astronomy and Astrophysics, or IUCAA, in Pune. Together they are building instruments that would enable multi-wavelength observations of stellar objects in optical, ultraviolet and X-ray wavelengths. This complexity, says S.N. Tandon of IUCAA, justifying the delay, “has required our laboratories to take on new developments in technology". Murthy says some years were lost in dealing with “institutional bureaucracy" which delayed release of funds for instruments, one-tenth of the Rs400 crore Astrosat budget. “We lost four years in formal clearances, then there was change of guard at various places…," recalls Murthy, who, after 20 years in the US, came to IIA from Johns Hopkins University in 1999 for Astrosat. Now, he says, his UV instruments won’t be ready before early 2010. Isro, besides building PSLV, is also putting together an experimental payload to scan the sky for X-rays, which Sreekumar says would be ready in six months. “Anywhere else a programme like Astrosat would have at least 10 PhD students, but I have only one and others don’t have any," adds Sreekumar. People don’t understand that science experiments, unlike engineering, are new and provide an excellent training ground, Sreekumar says, who isn’t getting students to work on Aditya, Isro’s solar mission, either. Why can’t Chandrayaan’s success be replicated? Experts say while the moon mission is much grander in scope, it had an “emotional spin" that helped people work together. Moreover, all the payloads were under Isro’s control. “While, as scientists, we don’t like being pushed, Chandryaan had tremendous external pressure, which I think is sometimes necessary (for timely completion of projects)," says J.N. Goswami, principal scientist of Chandrayaan.